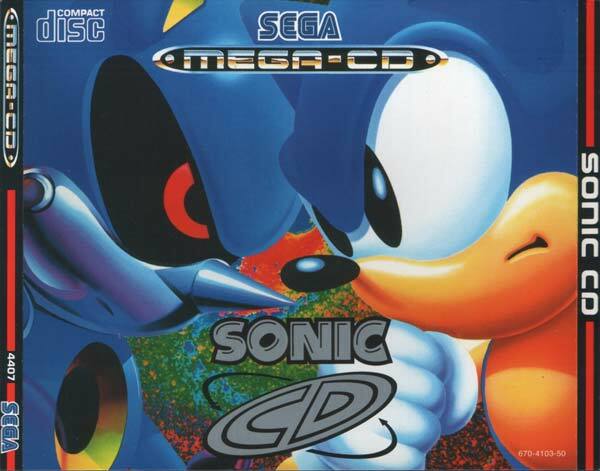 Sonic CD is the classic 2D Sonic platformer that everyone forgets, due to its unsuccessful home format of the Mega CD, an add-on to the Sega Mega Drive. 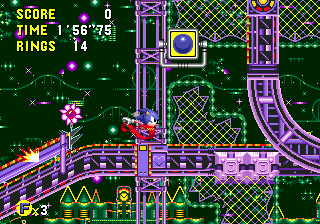 Nevertheless, Sonic designer Naoto Ohshima's alternate sequel to Sonic 1 has received much praise over the years for its beautiful, slightly psychedelic art direction and deep, detailed environments. It also introduces such important characters as Sonic's self-proclaimed girlfriend, Amy Rose and his metallic adversary, Metal Sonic. The feature that sets it apart from others though involves the ability to time travel across four different versions of each level, in order to prevent Dr. Eggman from controlling the future of Little Planet. It could perhaps be classed somewhere between a primary and secondary Sonic platformer, being much more of a cult favourite as opposed to its more recognised, mainstream Mega Drive cousins. The title screen is a serious eyesore. 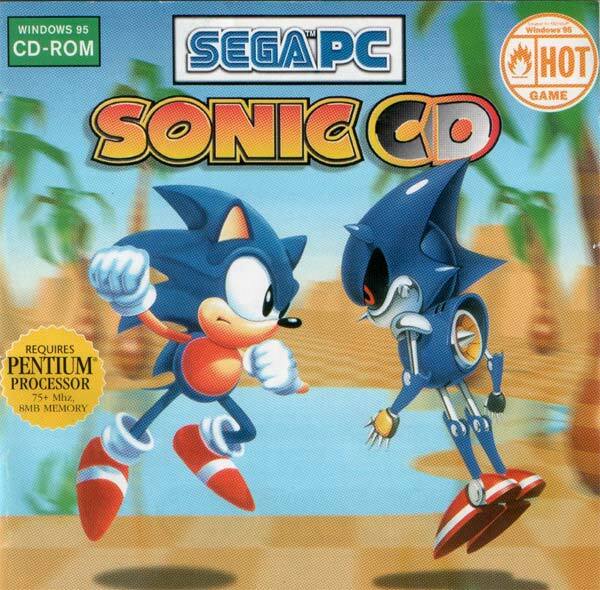 Technically, Sega announced CD comes right before Sonic 4, so you may want to update that. First, Anonymous is right. The screenshot of the title screen is off. Obviously taken from a bad emulator. It's true that Sonic CD's title screen uses a 256x224 pixel resolution, but it's anamorphic. On a TV, it was stretched to the regular width. Long story short, resize the title screen capture to 320x224 and it will look how it is supposed to look. Second, Hexidecimark is wrong. Sega did not announce "CD comes right before Sonic 4". The trailers of the Sonic CD re-release mentioned something like "see how the Sonic 4 saga began". Some people misinterpreted that as a retcon that places Sonic CD immediately before Sonic 4 in the game timeline. Which is nonsense. 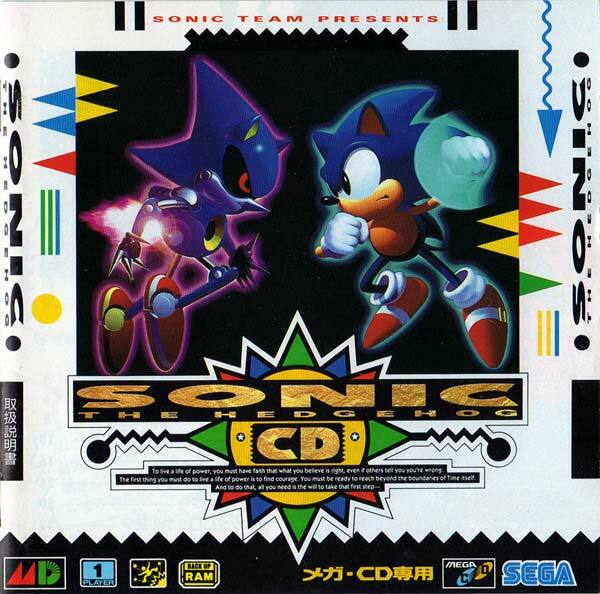 That link to Sonic 4 in the trailer was made for simple marketing reasons ("we haven't made any announcement for Sonic 4 Episode 2 in a long, long time... but don't worry, it's coming... in the meantime, play this Sonic CD instead... which is loosely related to Sonic 4 because Sonic 4 Ep. 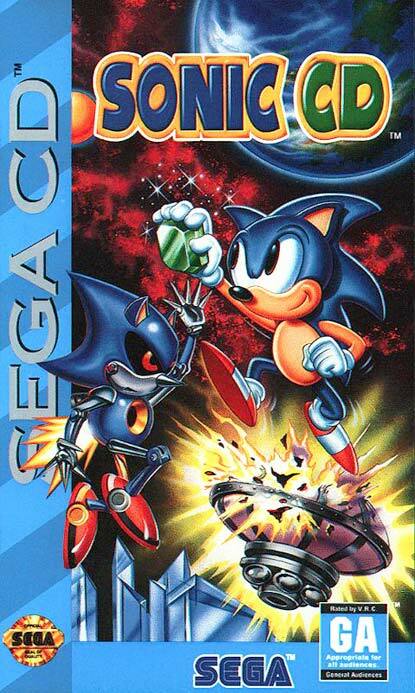 2 will have Metal Sonic... see how Metal Sonic started in Sonic CD"). Ken Balough of Sega said as much in an interview. Might need a slight update - Sonic CD is also now available to rent on the PS4, though idk how much that version is different from the original or the collection version. It's late 1991/early 1992 and the man responsible for the programming of Sonic 1, Yuji Naka, has left Sega of Japan in favour of the Sega Technical Institute in the US, where Sonic 2 was produced by much of the same important creators. 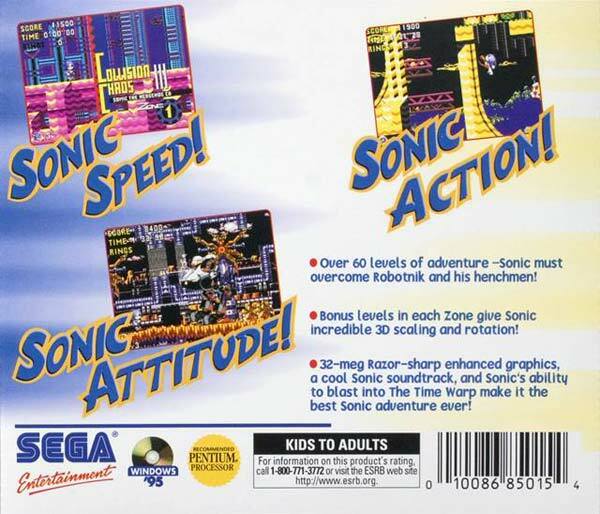 Meanwhile, Sega of Japan was also coming up with their own sequel to the original, in the much wackier, time-traveling shape of Sonic CD. On this project was Naoto Ohshima, the man originally responsible for creating the character of Sonic, although he is not always credited as such. With both games nearing completion, it was decided that one of them be released in 1992, while the other should wait a year, in order to pad out the Sonic craze that was already sweeping the nation. 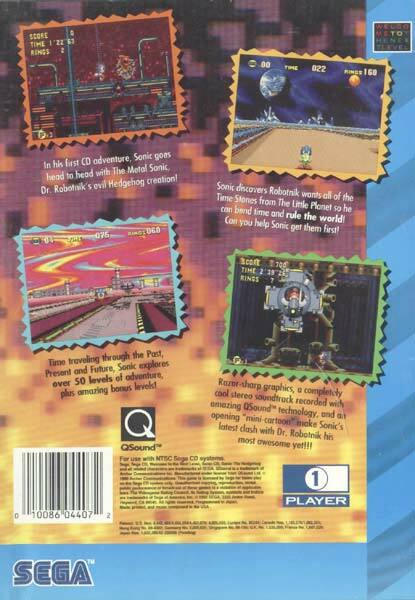 Perhaps due to the insane buzz it was creating, Sonic 2 was chosen to be the first proper sequel in a long line of them, while Sonic CD waited patiently on the shelf. 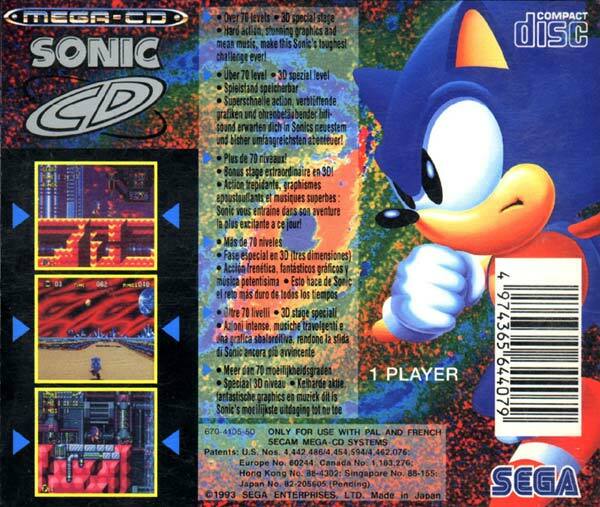 During this time, it was heavily speculated by the media that Sonic CD was little more than an enhanced version of Sonic 2. Fortunately, this was of course, not the case, although it is speculated that Sonic 2 had its eye on the ability to time travel across different versions of its levels, at some point. The Sega Mega CD (or just Sega CD in the US) was one of several add-ons to the Mega Drive that essentially turned it into a whole other console, running a whole other range of games, in this case, games based on CDs. 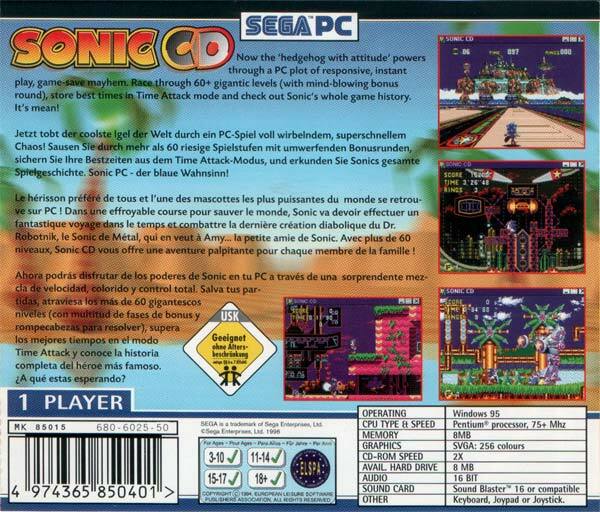 Sonic CD was the first Sonic game to appear on such media, and so could feature a CD quality soundtrack. In fact, it could feature two. 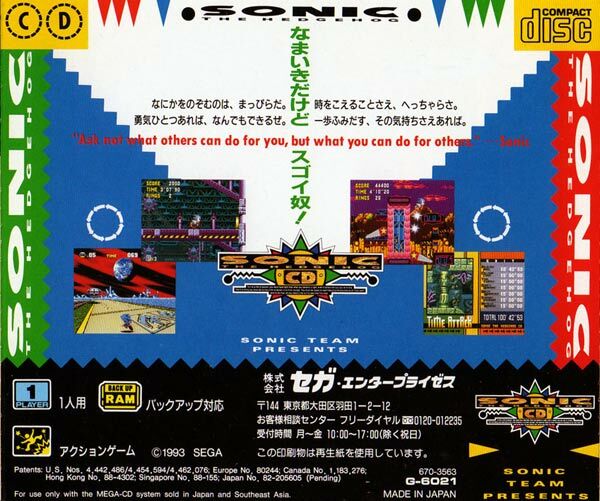 The soundtrack composed for the Japanese and European versions of the game is fairly typical Sonic music, but is particularly loved by some fans. However, an entirely different soundtrack was composed by Spencer Nilsen for the US version, which tended to feature more environmental sounds than the typical catchy tunes, and many people particularly dislike it. I myself, am not much of a fan of most of that soundtrack, but some people are, and the arguments still rage on today. 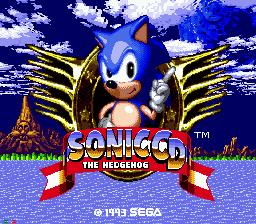 The Mega CD never really took off with the gaming public, and sadly, Sonic CD never quite got the recognition it deserved, becoming the cult favourite of the series. It only really became available to the masses (myself included, admittedly) with the release of the PC port in 1996 and particularly the appearance on Sonic Gems Collection much later in 2005, which was actually a port of the port. Some Mega Drive emulators are also capable of playing the game without fault. It should be noted that the Past stages weren't changed due to being PCM sound files. I like both soundtracks. They're so different, but both fun! You might now want to update this bit with information regarding the new remake of this game for today's consoles and phones by Christian Whitehead. During one month of every year, something appears over the skies of Never Lake. 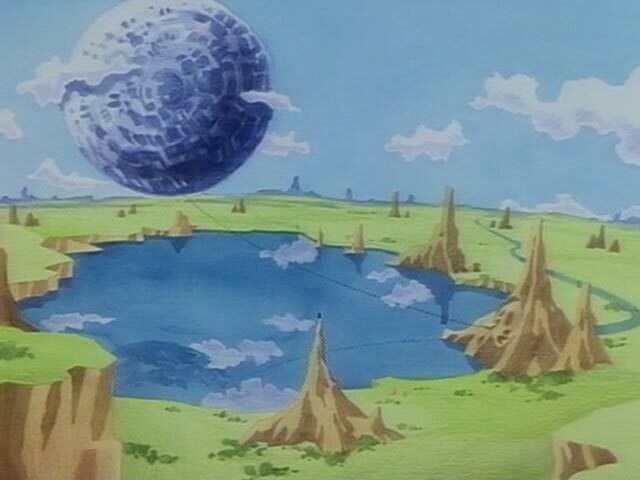 A small planet, conveniently known as "Little Planet", which contains seven Time Stones said to be able to control the passage of time in some way. This of course catches the attention of Dr. Eggman (a.k.a Robotnik) and ever the opportunist, he chains the planet down to a nearby mountain (now sporting his ugly mug) when it next appears. By controlling the flow of time on the island, he visits the past and places his machinery around the place so that he can turn a once peaceful, tranquil future into a metallic empire in only an instant. Where's Sonic in all this? As indicated by the game's snazzy anime intro, he's hurtling across Never Lake, but it's too late, as he's shocked to find the planet covered in Eggman's diabolical machinery! Without hesitation, he climbs the mighty chain and heads on up to investigate. Little does he know that at the time, Amy Rose, his biggest fan, was lead to the planet by a tarot card reading that told of a destined meeting with her hero. Eggman, however, has an ace up his sleeve and the young girl becomes the perfect target. A new enemy makes himself known; Metal Sonic, designed to match Sonic's every move, and even be able to reach his same impressive speeds. 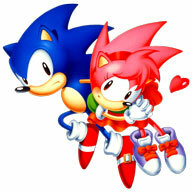 To add to Sonic's problems, this metallic duplicate kidnaps Amy right in front of him and flees. Now he's got to save the world and get the girl, despite not really wanting her in the first place. Strangely, the US manual at the time referred to Amy Rose as "Princess Sally". For those that don't know, Princess Sally is a character that features heavily in the US Archie Sonic comic and old "SatAM" cartoon show that began around that time. She has never appeared in any game, except for a brief cameo in Sonic Spinball, which was based on that alternate Sonic universe anyway. This was a poor attempt to tie the two in, so that kids that are too intuitive won't start asking questions, but it fails to explain the fact that Amy in the game, quite clearly, looks absolutely nothing like Sally in the comics and cartoons. Having said that though, I do seem to recall seeing some official American art where Sally was pink, instead of her usual brown colour. Interesting. Also, in the English manual for the PC port, "Mobius" is clearly named as Sonic's planet, which is also taken from the storylines of a variety of Sonic cartoons and comics from the 90's. However, the name of the home planet is never really officially stated in any other game or game manual, English or Japanese, until the post-Sonic Adventure era where it's referred to as Earth, once or twice. This version of the story also seems to contradict the one explained above by implying that Sonic and Amy were already friends as they approached the Little Planet, together. Perhaps it should be noted that Sonic CD's bad ending is referenced in Sonic 4 Episode Metal through a cutscene, but I'm not sure whether or not we should consider it canon. Maybe Dimps decided to go for the most iconic look of Stardust Speedway without much thought. A Sonic game that is loved almost universally right across the board, despite not having a huge emphasis on speed, the feature that perhaps most significantly sets Sonic apart from other platformers. Sonic CD's thing is much more about exploration. Sure, you could play it through, running from left to right through zone after zone, and there's reasonable enjoyment to be had in that, but the game's design really encourages you to explore the levels to find the hidden objects you seek. Every level has four different time zones to it, each with their own differences, and if you're completely ignoring these, then you're really not playing the game to its full potential. It makes the experience so much more dense and complex, and was certainly a very tough cookie to write about, I assure you. The visual design has a certain psychedelic and wilder style to it, a glimpse of Ohshima's vision of what the Sonic series could have evolved into, perhaps, and I love the amount of work that's gone into the level graphics, particularly. Four completely different appearances for every level essentially equates to 28 different levels that have been painstakingly designed in pristine detail. That's a lot of hard work and effort, and traveling between the time zones just to enjoy the imaginative, colourful and sometimes fantasy-like environments is a true pleasure. 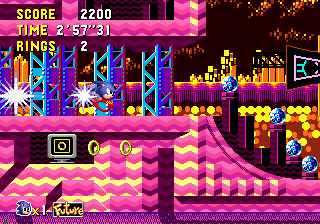 The option to unlock the Good Future time zone by destroying Eggman's machines in the Past is an inspired idea that both expands upon the gameplay of Sonic 1 and 2 but without interfering with it, as it is not a mandatory, but an additional challenge to the game. While the levels themselves aren't too challenging to beat, Time Attack mode and rock hard Special Stages add to the longevity. Anime sequences and CD quality soundtracks renowned for their excellence are also very prominent signatures of this great game. It's certainly a shame that Sonic CD was never made fully accessible in its own time, and thus ignored by many Sonic fans who were much more familiar with the traditional Mega Drive four. When you're ten years old, Mega CD's don't tend to come cheap, unfortunately. The PC version helped, but was sadly lost to the seas of incompatability all too quickly, as more advanced Windows operating systems reared their heads. 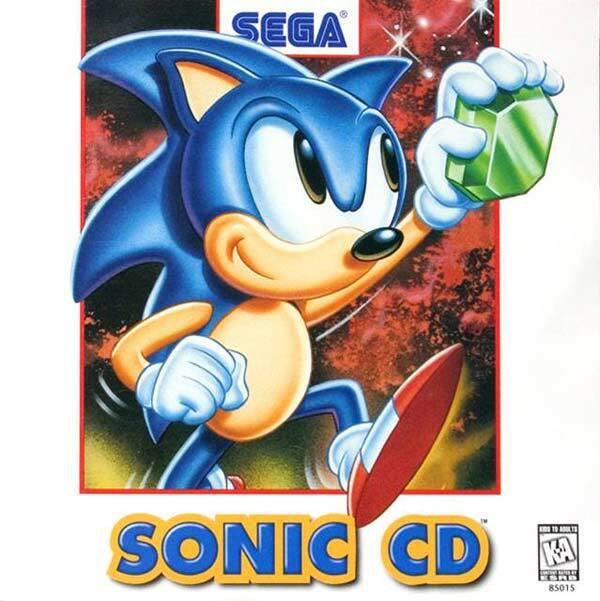 Finally, popular demand lifted the game from its cult status to a much more accessible place for a new generation of fans, when Sonic Gems Collection saved the day for all of us over ten years later, but the nature of this compiliation left it very much within the domain of the Sonic followers only, and not gamers in general. 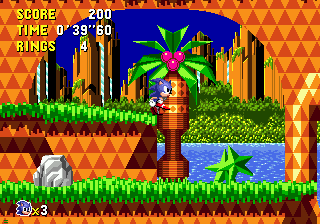 While it has received huge critical acclaim, Sonic CD's original placement on an unsuccessful format has made it less noticeable in Sonic's long legacy, but it is arguably the very brightest hidden gem within it. There should be an included note that mentions the re-release that came out this month (Dec. 2011) The Taxman owns. I both like and hate The Taxman for his remake of Sonic CD. On one hand, it's a great remake and I'm glad that Tails is playable. On the other hand, it wasn't released on the Wii, DS or 3DS and I despise having to go through those abominations the game calls "Special Stages" to unlock Debug Mode when I could just use a cheat in the original. Can you add Sonic CD music onto the Sonic CD section please? Perhaps touch a little on the digital re-release after you mention Gems in the Comments section? Sonic CD is also available to download on the Xbox360's XBLA & Playstation 3's PSN.